152 pages | 2 B/W Illus. 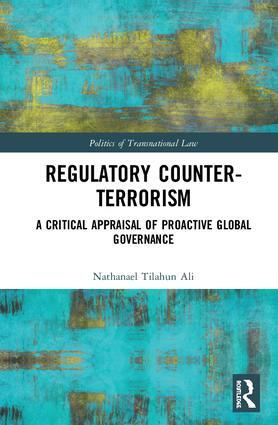 Nathanael Tilahun Ali is an Assistant Professor in Public International Law at Erasmus University Rotterdam, The Netherlands. He has been a visiting researcher at various institutions, including University of Cambridge, Queen Mary University of London, and University of California, Berkeley. Politics of Transnational Law is edited by Tanja Aalberts and Wouter Werner (VU Amsterdam, the Netherlands). This interdisciplinary series explores the changing dynamics between politics and law in a globalizing world. These dynamics illustrate the growing importance and vitality of cross disciplinary research that transcends traditional disciplinary divides, domains and categories. Focused on the ‘Politics of Transnational Law’, this series provides a platform for studies that critically reflect on the interplay between politics and law as international and transnational practices. It investigates the heterogeneous landscape of contemporary law-making, and the different kinds of politics this global ordering relates to. The series is unique in that it is jointly shared by the law and politics divisions within Routledge and will be actively promoted in both subjects areas.